Natalie Portman began acting professionally at 12 and won an Oscar before she turned 30. As a self-taught actor, she uses personal techniques to create compelling, complex characters. In her first-ever acting class, Natalie shows how empathy is at the core of every great performance, how to bring real-life details into every role, and how to build your own creative process. Get ready for your breakout performance. An avant-garde figure in filmmaking, David Lynch introduced mainstream audiences to art-house films. 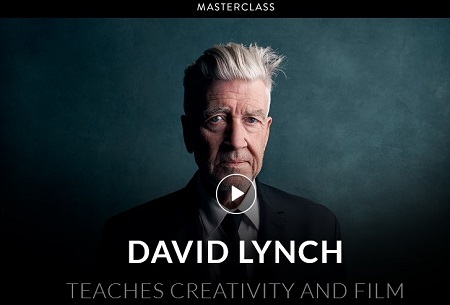 Now the Oscar-nominated director of Mulholland Drive teaches his cross-disciplinary creative process. Learn how he catches ideas, translates them into a narrative, and moves beyond formulaic storytelling. Embrace the art life in David’s MasterClass and learn to test the boundaries of your own artistic expression in any medium. Former Starbucks CEO Howard Schultz rose from a childhood in public housing to leading a company that revolutionized the way the world drinks coffee. With no formal business education, he relied on his values while growing a 13-store chain into a global brand with more than 250,000 employees. In his 90-minute video series, Howard shares what he’s learned about values-based leadership and being an entrepreneur. Called one of the “world’s most powerful wine critics,” James Suckling has tasted more than 200,000 wines over the past 40 years. In his MasterClass, James tours legendary Tuscan vineyards and teaches you to explore the stories, history, and people behind every bottle. Deepen your knowledge of the properties in each sip, cultivate your passion, and choose, order, and pair wines with confidence. Your brain is under attack - disorders like depression, anxiety, headaches, ADHD, memory loss, epilepsy, dementia and other neurological disorders are MORE prevalent than ever before! Get the brain UPGRADES you need to prevent and heal from these attacks!